Cat health insurance is something that should at least be considered by every thoughtful cat caretaker. Cats are family. Like all our family members, we want them to be happy and healthy. But what if something should happen and your cat needs medical care? What about wellness care for your cat? We are fortunate to live in a time when excellent veterinary care is easy to find. The funds to pay for that care are significantly harder to find. The latest estimates show Americans spending over Ten Billion dollars per year on pet health-care. It was not that long ago that no one had heard of health insurance for pets. Now, it is very common, and rightfully so! Many people want the security of knowing their furry loved ones are covered in the event of accident, injury or illness. There are many things to consider before actually buying a policy. In this article, I will try to provide some questions you should have the answers to, before making any cat health insurance decision. Will you be restricted to using certain veterinarians? Most of us who have a regular vet would rather continue care with the people we know and trust. Ask if the company allows you to have a free choice of veterinarians. If they use a provider list or a network, check to see if your vet is included. What kinds of things are excluded from coverage? Most pet health insurance policies have some exclusions. One of the most common is the "pre-existing condition" exclusion, which can be defined loosely as "injuries, medical conditions and symptoms of concern that were evident prior to enrollment." “Pre-existing condition” exclusions are all too common, and would prevent your pet from being covered for any condition for which he has been previously treated or diagnosed. Certain other things may be excluded as well. Included among these may be flea control, heartworm medication and/or treatment and spaying/neutering. You would be hard pressed to find a company that doesn’t have exclusions, and this is perfectly normal. Just be sure you know exactly what a company will and will not cover. Don’t be afraid to ask lots of questions and look the contract over carefully before signing anything. While some insurance companies will simply charge a flat deductible rate of $25 to $150 for each procedure, that is not always the case. Some companies offer policies which will require a co-pay of ten to twenty percent of the actual veterinarian's fee. Sometimes the company will require both. Just ask, take notes and compare. Benefit caps are another area to inquire about. Find out what the per-incident, annual, and/or lifetime maximums are.Most companies provide a maximum (cap) amount for each covered illness or procedure (called an incident cap). Some companies also have an annual cap, and once this amount has been reached, no further coverage is available in the same calendar year. Not nearly as common, but still something to look for, is a lifetime cap. It is exactly the same as yearly cap, but once this amount is reached that’s it. period. Check with the insurance company to see their "benefit schedule". This is a document listing diseases, conditions, and treatments, and a corresponding maximum coverage amount for each. Some insurers pay a flat percentage of the veterinary charges, usually after a per incident deductible has been met. While there are many providers, and I cannot list them all here, I will attempt to provide a few points of reference for reputable companies. All the companies I listed below offer a variety of plans, so it is best to check out each one and get a quote. Here is just a sampling of cat health insurance companies. If you click on the names you will be able to view their websites. What are any other benefits and savings? Some pet health insurance companies are using additional benefits as incentives for new customers to buy. 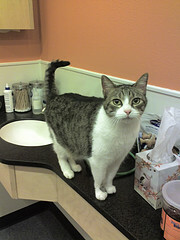 Many cat health insurance plans give special rates for feline maintenance plans. Ask about such things as coverage for boarding fees and discounts for multiple pets enrolled. 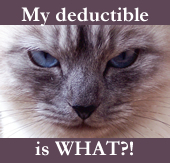 Is cat health insurance a worthwhile investment for you? This is something only you can decide. Some pet owners choose not to buy cat health insurance, figuring that the premiums might actually cost more than the estimated annual veterinary costs. 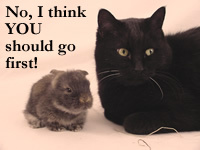 However, it might be a good idea to ask yourself this; if something unfortunate should befall your cat, such as an ongoing condition like cancer, or a need for major surgery, would you have the resources on hand to pay for the proper care without causing your family a terrible financial burden? There are so many considerations; it’s not a decision to be taken lightly. I hope this information has proven helpful to you. It is in no way meant to influence your decision one way or the other, only to educate and inform you so that you can make the best decision for your particular circumstances. Here’s wishing you and your cat a healthy, happy life together.